Good balance. Not very complex, but tasty. This was a blind tasting, I thought this to be a Highland Park. Dried fruits, smoke of young peat, vanilla, peach, cirtus, raisins and marshmallows. A gentle sherry influence. of water, but doesn't need it and stays consistent in taste. Vanilla, ash, dried peach, caramel and tobacco. it certainly seems Highland, reminding if only me of Teaninich. It is interesting having that sense of the shoreline; it is probably a good dram at the end of a walk in winter but it is not that friendly a whisky. Bracing rather than embracing. Nice "drinking whiskey" with more smoke / peat than expected. This gives the whiskey a slightly different note than the "normal" Speysider. Interesting! You can take a drop of water but it dont need it. I think there's some nougat, grass and hay. After that it gets sharper. Also some apple or pear and coconut shavings. Very smooth and an unbelievably creamy mouth-feel. Some vanilla, peach and caramel. I like it! Pretty long, some orange and oak there. C: The nose is a winner, the rest is merely nice. REVISIT 2015Part of the ‘Three Legends’ masterclass Info1 Info2 Info3. According to Richard Paterson, although they weren’t totally frozen, it took ten weeks to fully defrost the discovered bottles. After lengthy negotiations at government level, Richard received three bottles, flown direct from NZ to Scotland by a private jet owned by the Kingfisher beer company. 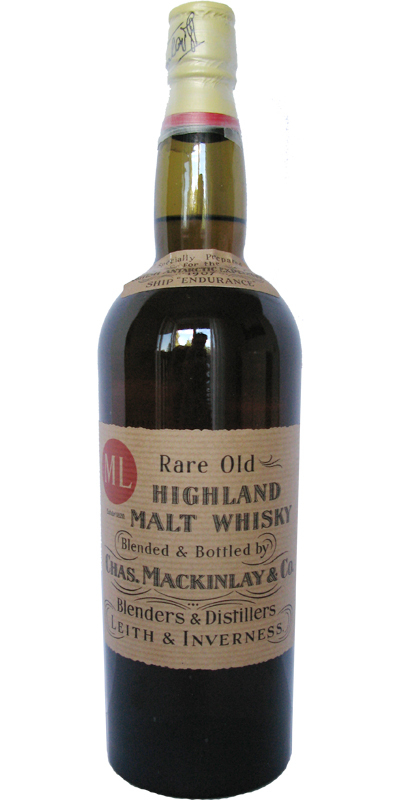 Richard professes that the replication is almost identical to the original Mackinlay 15yo. 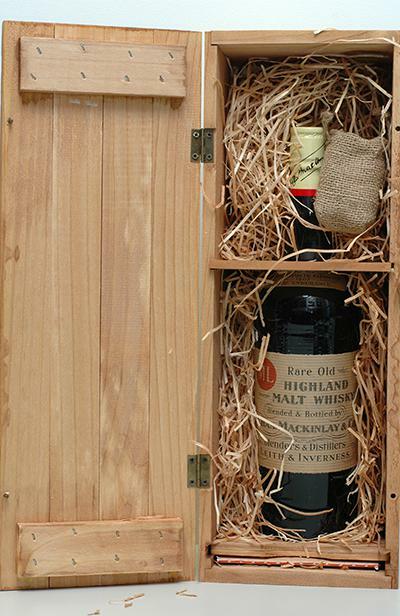 Twenty eight single malts were used to create the Shackleton blend, including a Glenmore cask #907 that shared the same distillation year as the original bottles. N: Very 'Spey', but in comparison to the Glen Grant 1952 53yo G&M WB, this is more minerally with some clay, light dry fruits and a light peppery-peatiness. Its all rather light in fact. T: Really accessible and rather simple, with a bold, malty arrival. Some age is definitely showing, even in comparison to the great 53yo. 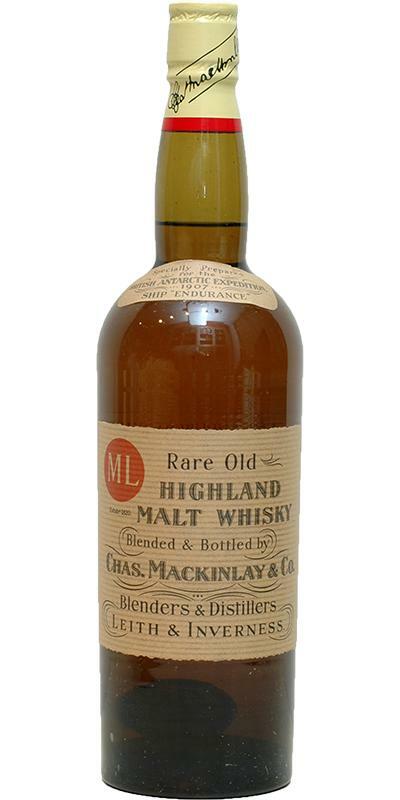 If this really is that close to the original Mackinlay’s, this must have been some solace to the Shackleton expedition in such extreme adversity. F: Mineral/stone>peat with the malt spirit enduring. C: On face value, a very nice, sweet, drinkable whisky. Historically its more impressive, as are the efforts that went into creating this replica. T: Theres quite a bite to this, little sips lots of water works wonders. Peppery and a little green to start but with a consistent delivery thereafter. With water its savoury-sour moving then to hazelnut praline and chocolate. Quite some intense oily chew with some aniseed/liquorice touches. F: More of the same. Relaxed and lingering with some vanillas, ripe, dried bananas and maca. C: Like the first time i tried this, initial disappointment subsides. With consideration and appreciation, this is impressive. Today i score this the same as i did two years ago when i first tried it.